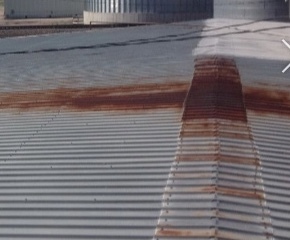 A commercial metal roof restoration project will greatly extend the lifespan of your metal roof. Also, if you were considering a complete roof replacement, restoring it instead will save you as much as 40-50% in cost. Before shelling out those big dollars, have our team inspect your roof and we’ll find all the major issues it has and how it can be restored instead. 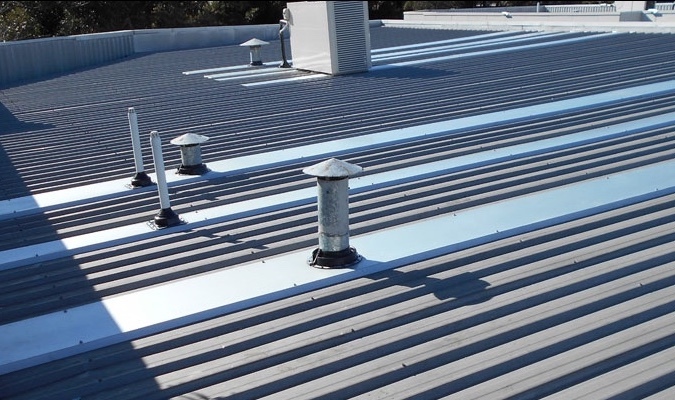 This is our specialty at Taurus Elite Commercial Roof Systems – restoring metal roofs and saving our customers lots of money. A full metal roof restoration requires specialized skills that few roofing companies have. But, we are the Austin area’s leading expert in this technical field, as we have mastered the process. Just like any roofing system, metal roofing will deteriorate from wear and tear, along with severe weather elements. Your building will be more efficiently cooled, due to the reflection of light and heat because of the new coating applied after resolving any rust or leaking issues. Building owners and property managers are choosing metal roofing because of its long lifespan. But, this does not mean that they are maintenance free – they have there own specific maintenance needs. Over their life they are affected as much by extreme weather elements as other roofing systems are. Leaking will eventually develop if you don’t maintain it properly. Rusting will begin to show when its coating begins to deteriorate. Most of the time, leaks will begin to form before you notice the deterioration. The areas you should be looking at carefully during inspections are skylights, flashings, ridge caps, vents, fasteners, seams and anything else that penetrates the roof. High winds will give you problems at edges where the seams overlap. Also, where the metal roof is nailed or screwed into the trusses is another potential weak spot. Before being aware of metal roof restoration, most building owners and managers would choose to have their metal roof replaced. This restoration process will fix your metal roof instead of having to replace it. One critical step to take, though, is choosing an experienced metal roof restoration contractor, as not every commercial roofer has the expertise to complete this process correctly. 1 – Choose a more durable silicone product instead of acrylic. You probably have a material currently on your roof that is more susceptible to earlier degradation. Silicone is less prone to wash off and won’t haze, fade or chalk, making it a better product for this process. 2 – If you are sympathetic to the environmental issues we’re facing, silicone is the product for you. It has a longer lifespan and a lower VOC. You can check with your local authorities for approved quality assurance programs and Energy Star ratings when comparing products. 3 – Now is also a great time to improve your property’s insulation. To reduce your energy bills and help to cool your interior, silicone spray foam does an excellent job of insulating your building. 4 – You’ll get a recommendation of silicone products from your chosen commercial roofing contractor and you should spend some time comparing them. We are always working to improve our selection of products because we know that no roof is exactly like another. We always want to deliver the highest quality materials and products for our valued customers for maximum adhesion and efficiency for our process. When you choose Taurus Elite Commercial Roof Systems to complete your commercial metal roof restoration, you’re picking the undisputed industry leader and the best products for your property. We have maintenance schedules to offer that will keep you right on top of any minor issues that arise so you can remedy them before they become bigger issues. You’ll extend the lifespan of your roof, minimize your environmental impact and save money on your energy costs. Taurus Elite Commercial Roof Systems 512-332-4422 provides commercial roofing services to Austin, Texas and the surrounding area. This includes commercial metal roof repair, commercial metal roof restoration, commercial metal roof replacement and commercial metal roof installation. We have been providing professional commercial roofing services to the area for over 20 years. When you need help with your commercial metal roof decisions, give us a call.